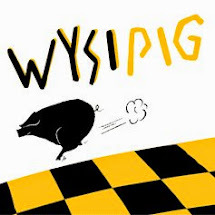 Christmas is fast approaching at ‘Wysipig’ in Arborfield,and it's time to get your orders in! The farm will have lots of great things on offer at its monthly open day this Saturday 10th December from 10am to 4pm. Why not come and join us and get into that Christmas spirit. Customers will be able to try samples and discuss Christmas orders for turkeys, gammons, sausages from the great range of meat and other products. As usual there will be ‘Wysipig Breakfast Baps, hog roast rolls for lunch, teas, cakes, mince pies and cream! Kevin our master butcher will be on hand to help with advice on ordering and cooking tips, we look forward to meeting you.